Mariza is a native of Brazil professional dancer, and was borne in the city of São Paulo from an Agricultural & Christian musicians parent, father was a Violin player and Mother a multiplayer of musical instruments such as Piano, Accordion, Flute, Harmonica and Organ. At the age of 9 Mariza got a music book set for beginners as a surprise gift from the Pastor of her local church town in where she grew up since of the age of 4. The music influences that Mariza has the most was the Piano and she studied until the age of 12, when she was introduced into the dancing world. At the age of 13 Alyrio found her element and started to taking the dancing floor at every club in town that was featuring Sunday’s dancing matinee. Mariza became the most popular dancer from all Matinee Clubs such as the “Clube Studio 4, Clube Stálus, Clube Babilonia, Club Nova Esperãncia and others in the city of Bauru S.P., where she grew up. At the age of 16 Mariza decided to move back to the gold city where she was born, São Paulo to proceed a career as a professional dancer. While living in São Paulo, she discovered another interest into her career. Mariza was enrolled into acting classes at Theater São João, in about a one and half years she was invited to participate on a play as the daughter of a homeless man “A Vitória de um Homém Pobre” ” The Victory of a homeless man”…which she played a tipical teenage that live her life pretending that she was never poor. 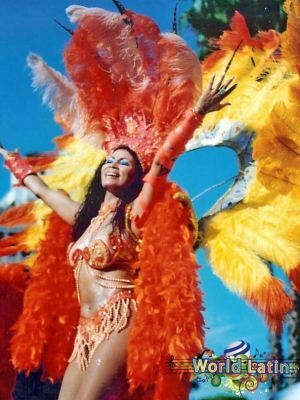 A few month after, She was invited to Choreograph for a dancing group called “Brasil Tropical” owned by Reginaldo Godoi. Mariza goes on her very first dancing tour at the age of 17, hitting to Brazil Amazon which she opened for a Legendary Brazilian Artist, “Altemar Dultra”. The Dultra’s concert, was for about 3 months tour. While she was there for the period of three month, the Brazilian Icon new about an up-coming dancing contest from a fan and spectators that came to see the show, and at the same time was looking for a dancing partner to participate on a Multiple Dance Contest that was to take place in the town of Alta Floresta. The fan was Claudio Alta Floresta, a loca resident that was seeking for a female partner and spotted Alyrio on the show and did everything to convince Mariza to participate on the contest. The Brazilian Icon registrated Mariza secretly on the contest and said to her “you will win this contest because you have everything to win”. That got Mariza a huge inspiration and she battled the dance floor amoung 35 partner dancers. In 1981, Mariza Alyrio and Claudio Alta Floresta won in First Place, the winning victory was the most important and professional experience that happened to Mariza at a young age. Back from the Amazon tour, Mariza hits straight to Rio de Janeiro where she experienced the most exciting performances with “Adriano Lobato” dancing group. A group that influenced Mariza even deeper than she expected. 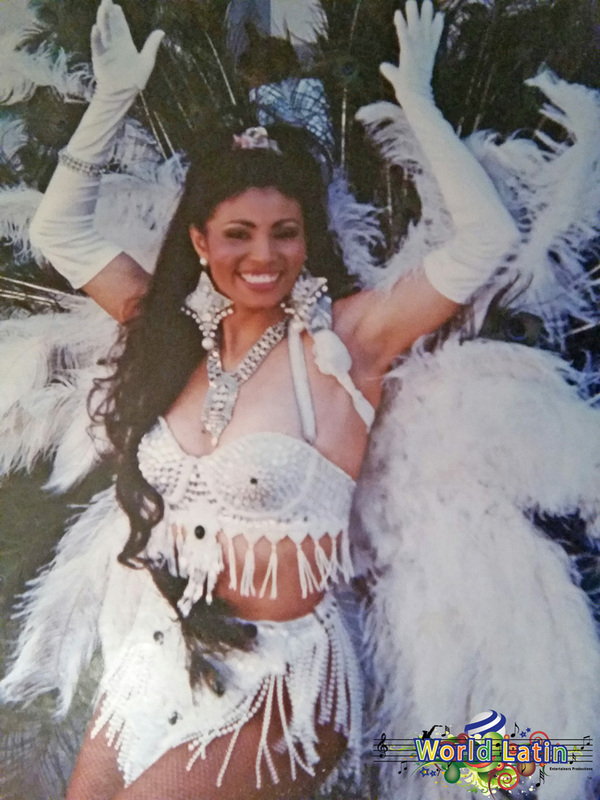 With an extremely diversity of entertainments the group has to offer, she joined the group team and has performing all over town in the nights of Rio de Janeiro…including participating in a few Rio’s Carnaval Recreational Samba Schools. Such as Beija Flor, Imperatriz and at Camisa Verde and Gavioês Fiel from São Paulo. Mariza always have had an extremely passion for Samba. Mariza has become so passionately for the Samba Dance that she decided to go internationally. Mariza: “Since the age of 5, I fell in love with music and i have a dream to be a live stage performer…Living with my dreams, I came to America in 1983 and developed a powerful live performance as a samba , hip hop and modern jazz dancer”. Hailed from São Paulo Brazil, to California Los Angeles in 1983, While was here in L.A., she started to perform for the very first Brazilian Band called “Embrasamba” that was formatted and created by on of the Brazilian member from the cultural department at the Brazilian Consulate of Los Angeles, by: Floriano and Lazáro. At that time Embrasamba was a very unique Band with only musicians. The band leader Lazaro spotted Mariza and loved the way she was dancing and invited her to performing officially as the band dancer. Mariza became the first samba dancer in Los Angeles and had performed for several Holywood Celebrities homes events., such as Weddings, Surprise Birthday Party, Aniverssary, Award events and several others events. Mariza has also featured in Motion Picture Such as ” The forbidden Dance, with Gloria Harring, Ford Fairline, with Andrew Dice Clay and Freddie Krueger , The Speachless, with Michael Keaton and Gina Daves. Throughout many years, in 1992, a first Samba School M.I.L.A. was born and the school held their first L.A. Samba Queen Contest. Once again, Mariza enter another contest and battle for the victory once more and she won the title as the M.I.L.A’s first Samba Queen in Los Angeles history. Despite of winning and being the Samba Queen, Mariza have become one of the founders of Mila’s school and as well has made the intire Mila’s costumes for the bands components which was 45 Percussionists. Mariza also Choreographed the Mila’s School “Comissão De Frente” …” Commission of Front ” in the city of San Francisco at the Mission District Street Carnaval in 1994, ’95, ’96, ’97 & 98. 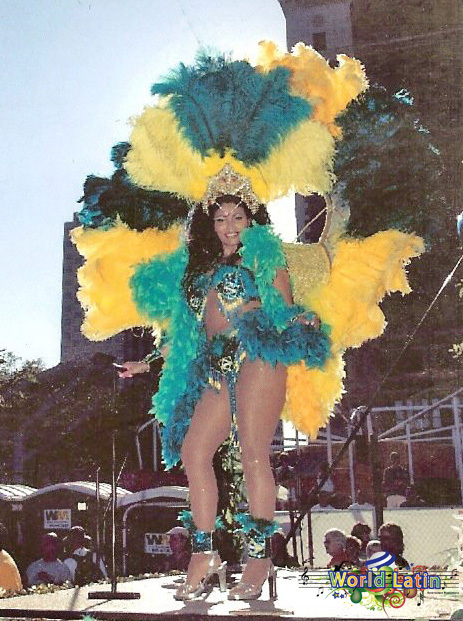 As well, Alyrio became the first Dance Instructor to teach samba dance at Mila. In 2001 Mariza was the Judge for the Mila’s Samba Queen Contests. In 2002, Mariza was the Official Director for the Contest at Mila. Since then, Mariza have gone solo and influenced and challenged many dancers into the stardom of the samba magic carnaval live stage Extravanza show. In 2003, Mariza created “Galasamba International Dance Group” which she representing an authentic Brazil Carnaval’s Extravaganza. While performing the best of Brazil, Mariza goes on tour internationally, touring in Brazil, Japan, Italy, France, Portugal, Brazil, Mexico, Germany and Taiwan. In 2009 Mariza found World Latin Entertainers Productions and created Samba Room which was based at the El Baron Restaurant & Night Club. At the same time Alyrio created a 2 group of artist page on Facebook called ” The Los Angeles Artist Network” and “World’s International Musical Artist Network”, which she has been working with Musical Artists and creating Artist promotional aspects. Based on her creations, Mariza has created a method for the artists members of the group by making them a featured “ARTIST OF THE MONTH”. Which she has been studying each artist songs that has being posted and categorized them by their Music Messages, Creativity, Melodies and above all, their artistry. Mariza Alyrio has been dedicating her self to help musicians all around the Globe internationally and hopefully the art of the world’s music, will helped many people in the world, to hill their hearts by delivering the messages of this incredible artists artistry. Stay tuned, more to come about Mariza Alyrio! Wishing you all a road full of great Success! With my gratitude and great appreciation, I would like to thank you so very much!!! Creating/Producing & Directing… Brazilian/Latin Live Entertainment!